Dynamic, dedicated and driven Snob events are event specialist in weddings, corporate dinners, hospitality, celebrations & themed events. Offering a bespoke and personalized service we have mastered the art in creating truly unique and elegant events that reflects the individual styles and personalities of our clients. 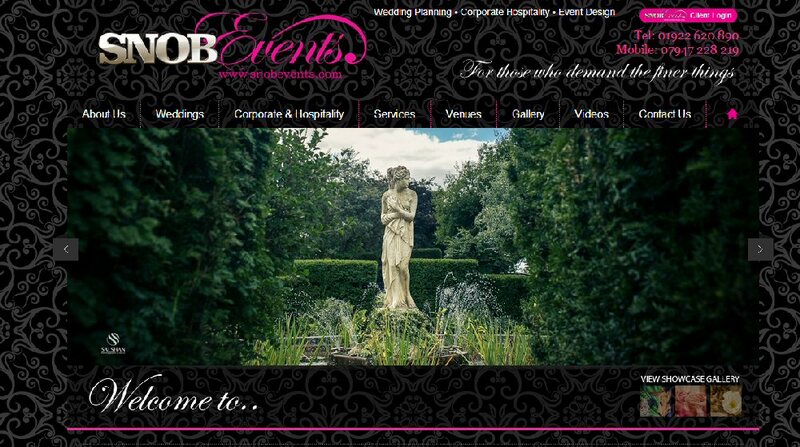 Snob Events attention to detail and tenacious approach has enabled them to develop an exceptional reputation amongst suppliers and vendors within the events sector. Furthermore Snob Events expertise and savoir-faire in event coordination coupled with their commitment to succeed enables Snob Events to translate their client’s vision and wishes into a remarkable and unrivaled event. Not one to meet expectations, but only to exceed them Snob Events works tirelessly and effortlessly to ensure perfection. If you would like to find out more about Snob Events planning your wedding, engagement of function please click on the image to be redirected to their site.